OscarSauce: Could front-runners Julianne Moore and Eddie Redmayne be felled by the ‘Norbit’ effect? Exactly eight years ago, Eddie Murphy seemed like a shoo-in to win his first Academy Award for his spirited turn as a drug-addled R&B singer in Dreamgirls. He’d already picked up a Golden Globe and a Screen Actors Guild Award for the performance, capping a career-comeback narrative that any middle-aged star would envy. Then on Feb. 9, just two weeks before the ceremony, another one of his cookie-cutter cross-dressing comedies hit theaters. Did that ill-timed stinker scotch his Oscar chances with snooty Academy members? This much is undisputed: Alan Arkin picked up the Best Supporting Actor Oscar for Little Miss Sunshine, Murphy stomped out of the Kodak Theatre mid-show in anger/embarrassment, and the Norbit Effect was born. Oddly enough, two of this year’s Oscar front-runners — Still Alice‘s Julianne Moore and The Theory of Everything‘s Eddie Redmayne — both hit theaters this Friday in new movies that have all the markings of Norbit-style misfires. 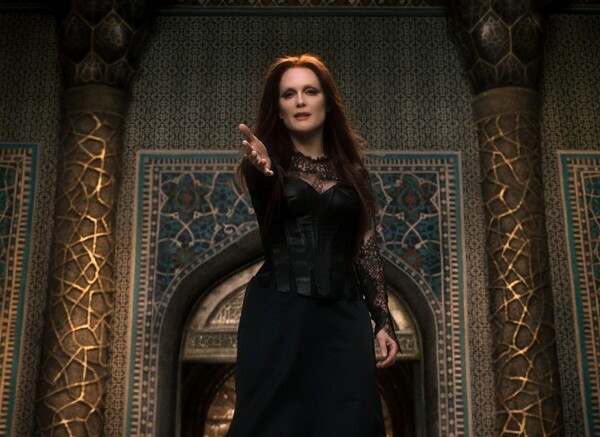 Moore plays a witch in the supernatural thriller Seventh Son, while Redmayne camps it up as a villain in the Wachowskis’ Jupiter Ascending. Both are sci-fi/fantasy flicks, and both have been languishing on the studio shelf for months (Seventh Son was first slated for release in February 2013). • Moore and Redmayne are supporting players, not leads, in these new films (the latter isn’t even on the Jupiter Ascending poster). There was no denying that Norbit was an Eddie Murphy production — he cowrote the script and played multiple lead roles (including the nebbishy hero as well as the plus-size woman of his dreams). Moore and Redmayne have much less on the line with their new movies. • If you’re not known for selling out, bombs don’t hurt as much. Moore has consistently appeared in both indies and commercial fare (including duds like Hannibal); Redmayne is regarded as more of an up-and-comer who won’t be penalized for a big-studio flop. (It’s only his third big-studio film, after all, not the umpteenth time he’s donned a fat suit for a mirthless comedy.) But Murphy’s Dreamgirls push followed a box office dry spell that included such flops as The Adventures of Pluto Nash and The Haunted Mansion — with no cred-building indies to compensate. • Moore and Redmayne are well-liked. Yes, the Oscars are a popularity contest. Moore has worked with a lot of people over the years and built a loyal fan base; despite his youth, Redmayne has earned similar (if shallower) respect. Neither has had to account for well-publicized stories of divalike on-set behavior or late-night rides given to transgender hookers. And Murphy didn’t help his case by fleeing the Oscar ceremony just after Alan Arkin’s name was called. • The Norbit Effect isn’t really a thing. Or, to the extent that it is, it’s an Eddie Murphy thing. That film was a ready scapegoat to explain the star’s thwarted march toward Academy validation. But in retrospect, his case was unique. After all, the late-January rom-com fluff No Strings Attached didn’t stop Natalie Portman from collecting her Oscar for Black Swan in 2011. And it was Kate Winslet’s aura of overdueness that denied Anne Hathaway Best Actress in 2009, not Bride Wars. (She was laying down a marker for her win two years later in Les Miz.) 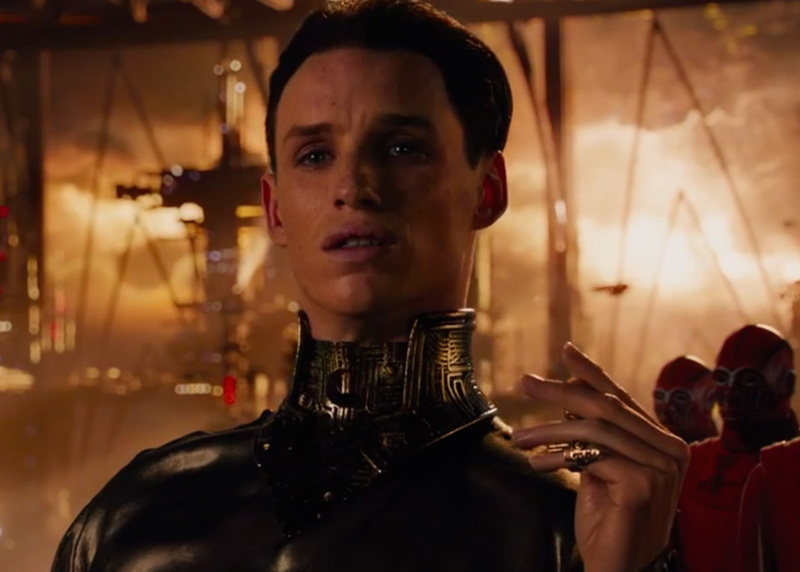 If an upset occurs this year in the Best Actor race, Jupiter Ascending won’t be to blame. It’ll be because the voters rallied around the well-liked Michael Keaton for his comeback turn in Birdman — and hoped to save Redmayne’s coronation for his (now expected) next nomination.